Only 28 miles from Edinburgh, Dawyck is an historic arboretum with impressive conifers, some over 40 metres tall. 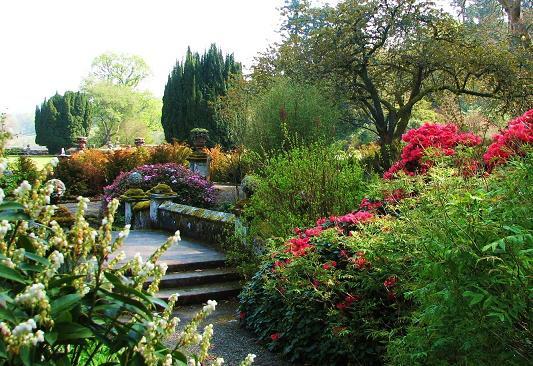 Dawyck Botanic Garden provides an imposing backdrop for a fine collection of flowering trees and shrubs, including unusual rhododendrons at their best in the Spring. There are many other fine trees from all over the world. Riverside pathways, with tumbling streams and abundant wildlife are the ideal setting for a peaceful stroll from Spring to Autumn. Rhododendrons, azaleas, bulbs, summer herbaceous, Autumn colour from maples and Rowans. Dawyck has superb Autumn Tints. Do not miss the Dawyk Video featured on this page. 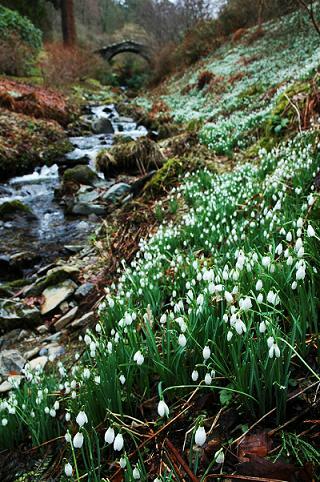 Great displays of snowdrops in February / March. 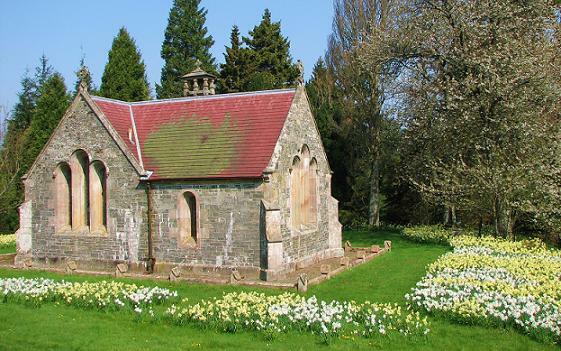 If you want to take a break near Dawyck Gardens, why not stay in one of our recommended hotels. Each hotel has genuine guest reviews enabling you to book from anywhere in the world in total confidence. Look now for Dawyck Hotels- click here.